Looking for a way to fit some exercise into your holiday? Try lacing up your hiking shoes and clock in your 10,000 steps while taking in spectacular views that will have you wanting more. Looking for a way to fit some exercise into your holiday? Try lacing up your hiking shoes and clock in your 10,000 steps while taking in spectacular views that will have you wanting more. Here, we introduce five hikes that will have you captivated by dancing light displays, awed by human engineering, or give you a glimpse into the majestic beauty of the Earth’s past. 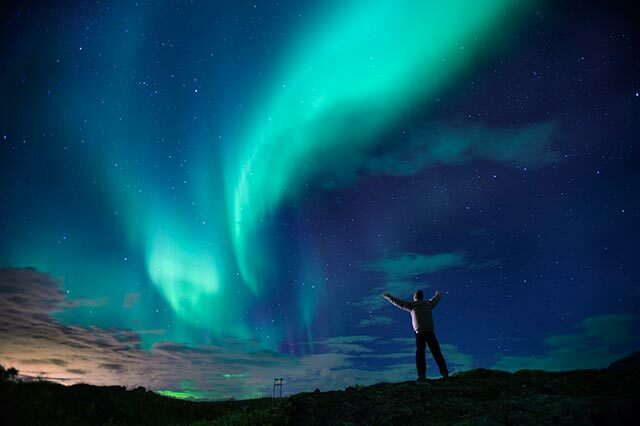 Why it’s spellbinding: Catch dancing lights across the Arctic night sky in a display that has mesmerised many. Known as the Northern Lights or aurora borealis, the multi-coloured lights that cover the dark clear skies in the Northern Hemisphere’s polar regions are the most well-known of the auroras. How to get there: Auroral displays can also be seen over Iceland and Greenland, and the northern parts of Norway, Finland, Sweden and Siberia. You can also catch the lights in the northern part of Canada and in Scotland and Ireland. When to go: In the north, midnight in winter (November — February) is generally a good season to view lights, thanks to the long periods of darkness and the frequency of clear nights. 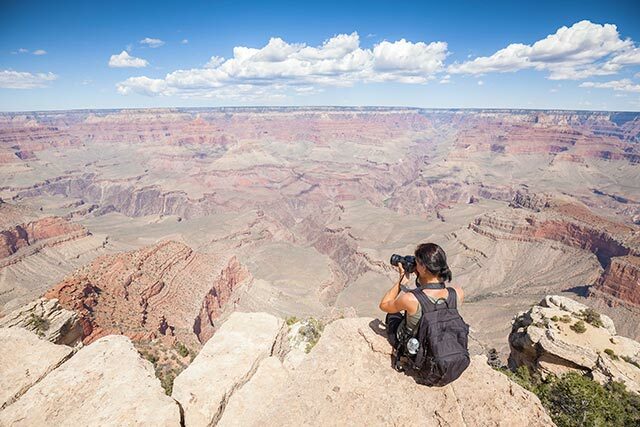 Why it’s spellbinding: Colourful and big, the Grand Canyon is rich in history and wildlife, and spectacular at any time. To top it all, it is also a world heritage site. How to get there: You can try hikes on trails with spectacular views of the Inner Canyon for both the South Rim and North Rim. For an easier hike, try the North Rim trails that can take up to 1.5 hours for a round trip, such as the Bright Angel Point Trail, Transept Trail or the Bridle Trail. If you are fitter or more adventurous, try the steeper trails on the South Rim, or the longer trails. When to go: March to May, and between September and November, when the daytime temperatures are cool and there are fewer crowds. Why it’s spellbinding: An immense engineering and man-made marvel, the Great Wall of China has an awe-inspiring history that spans over 2,300 years with breath-taking views to boot. As you walk on this world cultural heritage, you can also have the cultural experience of trying local cuisine or interacting with the locals. How to get there: There are several sections of the Great Wall that are open for visitors, with the most recommended being in or near Beijing. 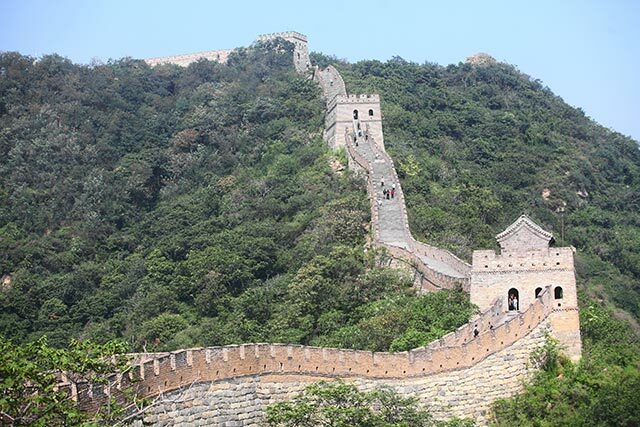 Easier routes that take up to 2 hours include Badaling, Mutianyu or Huanghuacheng. 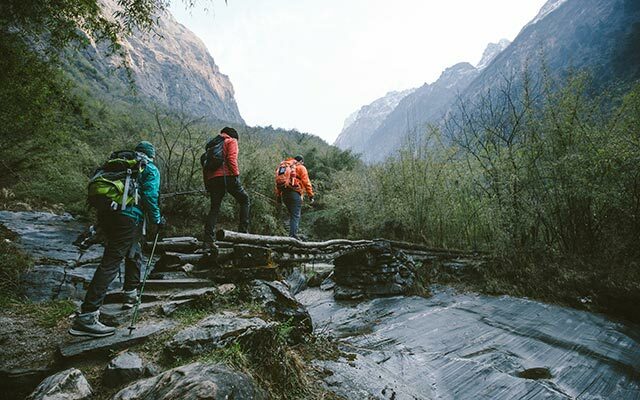 If you are fit and ready for a hike, try the trails that take several hours at Jiankou, Gubeikou and Jinshanling. When to go: October is ideal as the temperature would be cool and it is not peak tourist season. Why it’s spellbinding: With the distinction of being one of the Seven Wonders of the World and a world heritage site, Machu Picchu is a masterpiece of engineering and is also the best-known archaeological site in South America. How to get there: If you are looking for a gentler route, take a train to Aguas Calientes and you can trek from there to the ruins in 1.5 hours. 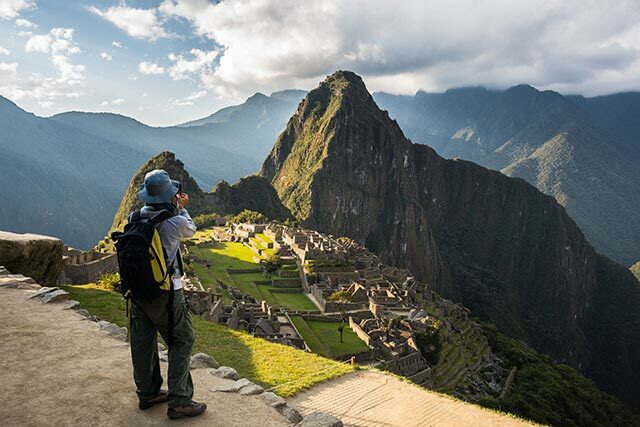 For the fit, try the memorable and scenic Inca Trail or Lares Trail to Machu Picchu that would take 3-14 days. When to go: The dry season during May to October, but note that the peak tourist season is from June to August. Book your hiking trip well in advance, as these tours are booked up months in advance and visitors are limited to 2,500 per day. Why it’s spellbinding: Nepal hosts some of the highest peaks in the world, with picturesque sites that boast the mesmerising views of Annapurna, Pokhara, and is a wildlife and bird watcher’s paradise. How to get there: The treks at Nepal range from moderate to high levels of difficulty, involving several days of hiking. Each trek promises spectacular views, whether you are attempting the treks at the Mount Everest region, trails on the Annapurna circuit or in the Kathmandu Valley region. Finally, for an enjoyable and safe hike, ensure that you plan ahead before the hike. Know yourself and choose a route that suits you and those you are hiking with. Always hike with at least one other person, and most importantly drink often to stay hydrated. Dress appropriately for the weather, and use sunscreen and a hat to prevent sunburn. 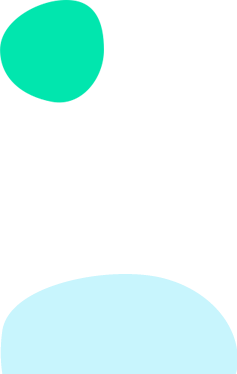 Looking for a way to track your progress? Check out HealthHub Track, the first free personal health management app for Singaporeans. How Do I Get Ah Ma to Be More Active? <div class="ExternalClass4059C5B79C5B45E7BF8BC75104FEC6EF">Established in 2001, the Health Promotion Board (HPB) has a vision to build a nation of healthy people.